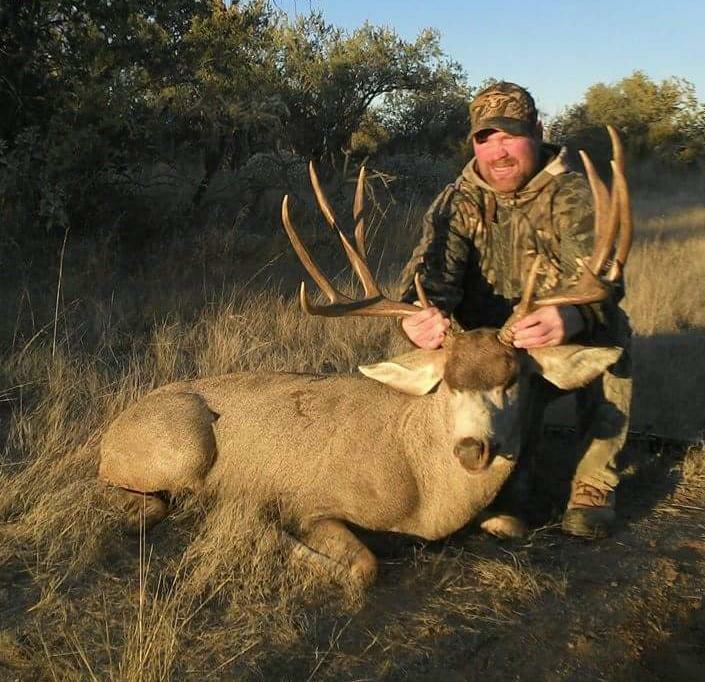 Hidden under the brim of his baseball hat, is the happy face of Lad Shunneson with an amazing double-drop Coues Deer. 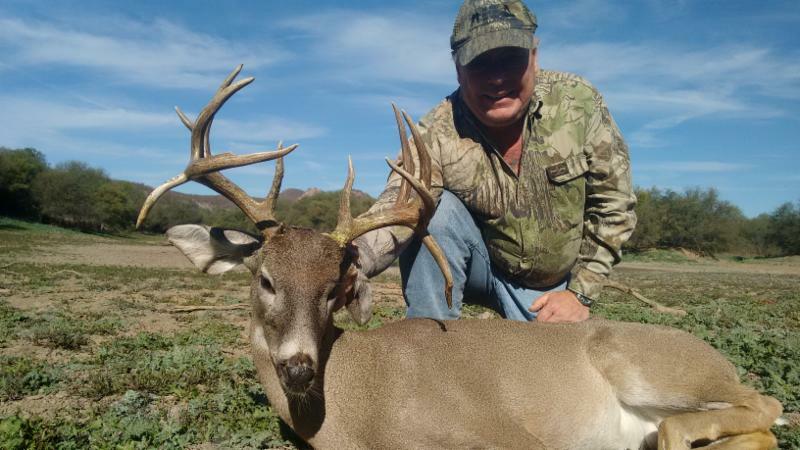 This is a Coues Deer hunt like no other AND IT IS FOR EVERYONE! 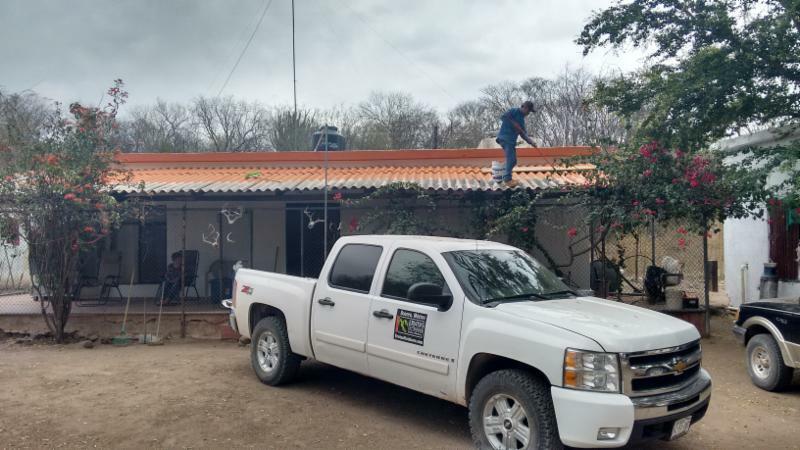 There are about 10 waterholes throughout the ranch (just 2 hours from Hermosillo), each with a previously concealed blind set back in the brush about 20 - 60 yards from each waterhole. The waterholes are about 50 - 80 yards long and 30 yards wide. 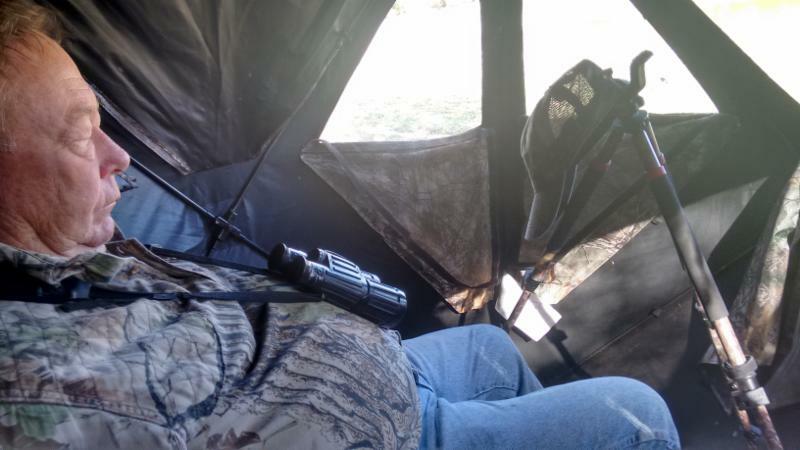 Once you are in a blind, you sit back and watch the show. 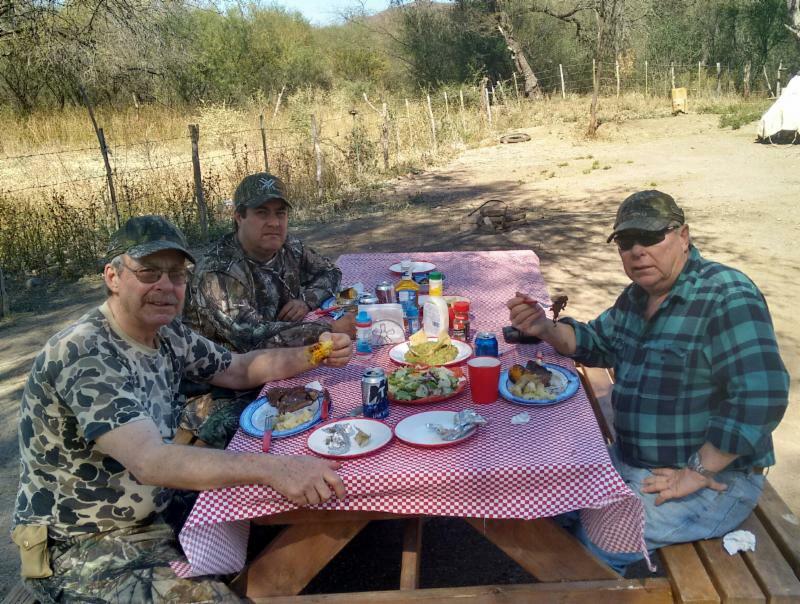 From each blind, my hunting partner, Bill Barrett (who hunted 1x1 at different waterholes), and I saw Deer, Coyotes, Javelinas, Bobcats, Ducks, and one Coati Mundi. The first morning, I saw 17 deer before I shot an old bruiser buck estimated at 8 - 10 years with heavy antlers and points. Lad doesn't seem to be watching too diligently. 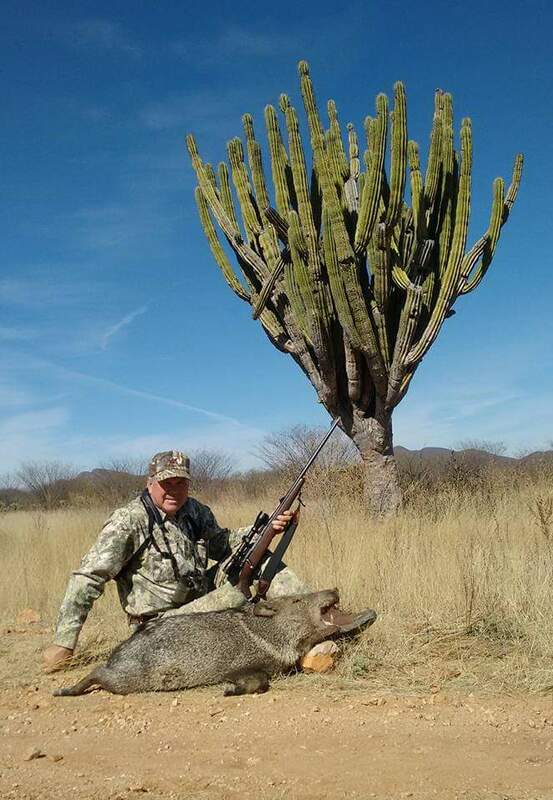 The 8-day package (6 full hunting days) costs $4,500 + $300 for the license/tag including the trophy fee for an any-size Coues Deer, airport pick-up and delivery, 1x1 guide, rifle rental ... everything except any overnights in Hermosillo. 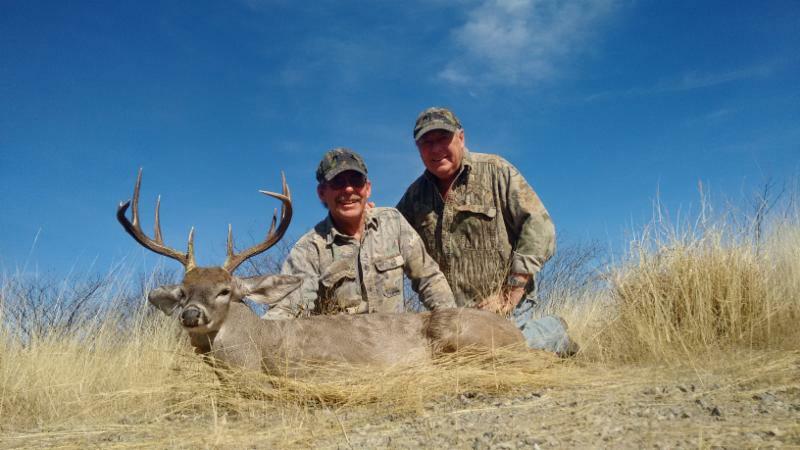 A second Coues Deer can be shot for a trophy fee of $2,500 + $300 for the license/tag. Prime time is January to mid-February. 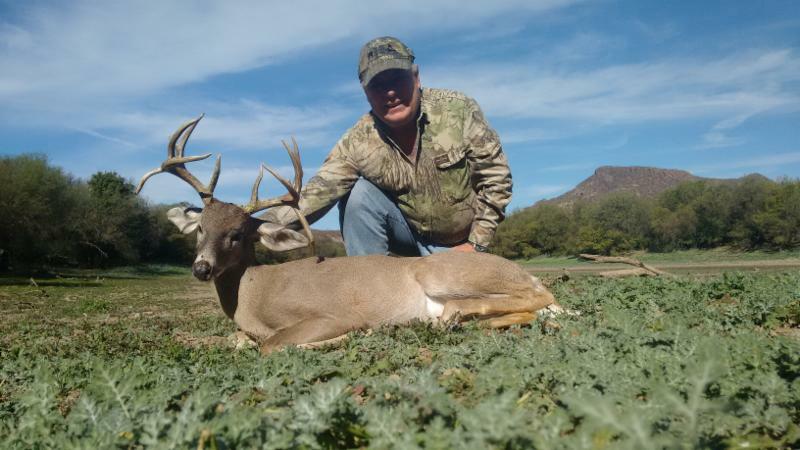 Lad's double-drop buck was his second Coues Deer. The second morning, we went to a different waterhole, and early-on I shot a 15-point non-typical with two big drop tines. After that, I visited different waterholes to enjoy the wildlife. 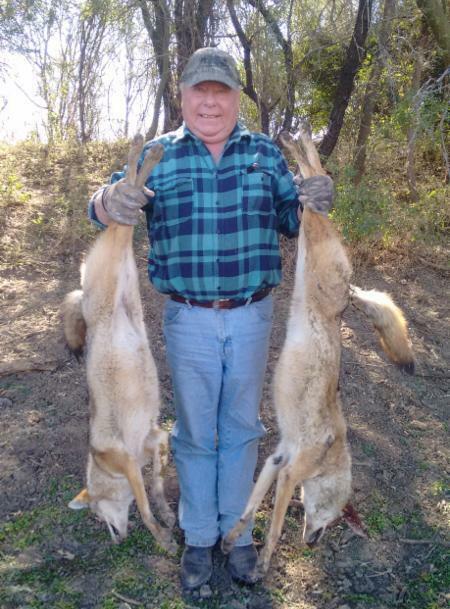 I passed on several Javelinas (available for $600), but couldn't help shooting some Coyotes in the interest of conservation ($100 each). I shot two on the third day and three more after that. 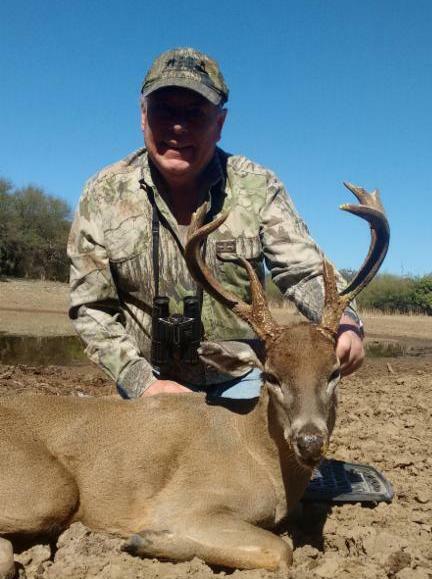 Bill Barrett shot a very nice 10 pointer. Camp was great, equipment was great, and the food was excellent. The same outfitter also hunts big Desert Mule Deer in January ($12,500 + $500 for the tag) and Gould's Turkey each April - May. For Gould's, you can join my partner, Ken Wilson, April 18-20, 2016 ($2,500 + $250 for the tag and you can shoot a second turkey for $500 + $250).